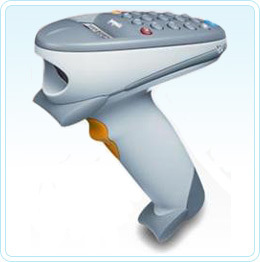 The P460 corded scanner offers the flexibility to key in and view captured data while scanning. Workers have the flexibility to collect data at any location, with real-time cabled or batch memory capabilities. The ergonomic design and comfortable grip substantially reduces worker fatigue. And there's no ramp-up time — this device comes pre-loaded with inventory application software. The P460 is the retail or light industrial version of the rugged P360 model. Scans and stores bar code data right out of the box. Delivers seamless integration of data into the existing host application. Allows users to easily view, enter and delete scanned records. Reduces user fatigue with comfortable grip for scan-intensive environments. Saves data if the unit loses power. Makes software upgrades easy in the field. Provides ample memory capacity for inventory counts and look-up tables. Allows you to develop custom data management applications. This cable battery pack is compatible with the P300 and P400 series phasers and scanners. You can give your cordless or corded hand-held scanner the power to deliver optimised performance throughout an entire day. A handy wrist strap that increases the mobility of various corded and cordless bar code scanners.